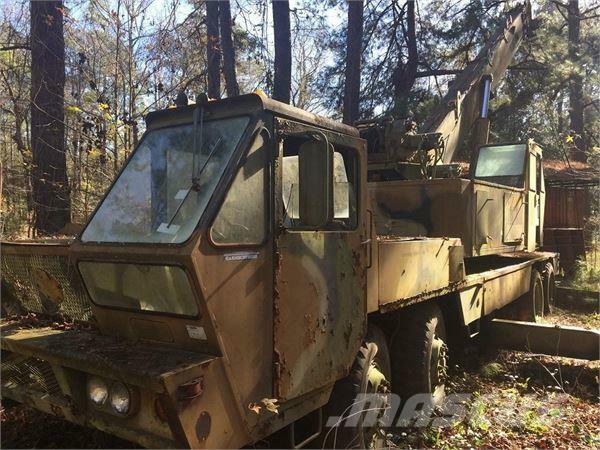 معلومات أخرى Description: Ex Military Surplus Crane, Unit only has 1018 hours and 134 Miles. Detroit Engine. The unit has been sitting for the last year. It cranks and operates. Work that has been done includes: New boom cylinder, hoses, water pump, oil cooler. Comes with jib, ball and block. There are some leaks and some tires may have to be replaced. More photos available.